Looking for a rock-solid, hemp manufacturing partner? You’ll be glad you found Spring Creek Labs. The hemp-based product industry promises one of the most explosive and versatile business opportunities in our lifetime. You’re reading this because you want to get a piece of the action. Why not partner with a hemp manufacturing company that will bring decades of expertise to your business? Spring Creek Labs is a USA-based, vertically integrated GMP contract manufacturer for hemp-based phytocannabinoids. We specialize in private label CBD, and custom formulas. In other words, if you’ve been dreaming of your own signature line of private label CBD products, we can deliver. When we say “farm-to-shelf hemp manufacturer,” we mean it. Great hemp manufacturing starts in the dirt. There, we plant, nurture and harvest US-grown, certified hemp crop. This hemp is home-grown right in the nutrient-rich soil of Utah USA. Our crops are vigorously tested to ensure THC levels below the required .3%. This gives you a raw product that’s as pure as you can get. 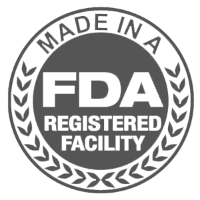 From there, our world-class laboratories and manufacturing facilities, staffed by 150+ highly-skilled craftspeople, go to work creating custom, private label CBD products for customers just like you. When your customers see and use your signature CBD products, they’ll think you have millions of dollars in manufacturing research and expertise working for you. The challenges of the hemp manufacturing industry are surprisingly complex. It demands dozens, hundreds sometimes, of high-trust strategic relationships with experts in the nutraceutical, herbal, vitamin and fine chemical production niches. A breakdown or miscommunication between any of these connections can be economically and/or legally disastrous. Thankfully, you now have a hemp manufacturing partner who has navigated these complex relationships. We have back up plans for our back up plans. We have an impressive lineup of the country’s finest and reliable experts in our corner. This means, you get a consistent manufacturing, and delivery experience that will make it easy to line your shelves with the highest-quality private label CBD products. Specialization is important in the hemp manufacturing business. Companies that have years, or decades of experience manufacturing capsules or softgels, might still flop at manufacturing lotions, creams, serums or tinctures. But Spring Creek Labs has built and refined highly specialized processes for all kinds of product manufacturing. We’ve blended high-speed automation and expert oversight. This means you get fast delivery of a world-class product delivered to your shelves. We have processes and teams of skilled experts devoted to the manufacturing of CBD skin care products. From liquids, vitamins, tinctures, single shots, gummies, powders and dozens of other popular CBD product formulas, we have it. This is especially important with the “white-glove” process of encapsulation and powder filling. We’ve invested a fortune, in time and money, into state-of-the-art encapsulation equipment. This ensures you a finely-tuned product delivery. We accommodate everything from small pilot-sized orders, to commercial-sized bulk orders. As your farm-to-shelf hemp manufacturing partner, we know how important it is for your products to look as if you have millions of dollars of complex manufacturing equipment behind you. That’s why we work hard to modernize and expand our CBD product manufacturing operations, staff and equipment whenever necessary. Our quality control standards for packaging AND delivering your private label CBD products are just as strict as our standards for developing the purest organic hemp crops. 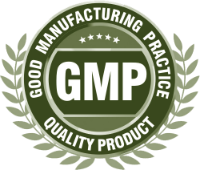 We consistently invest time, money and expertise into refining our quality assurance processes and keeping up with the no-nonsense GMP hemp manufacturing guidelines. We apply this same standard to everything from crops, raw materials, ingredients, product development, packaging and delivery. Ready to get a rock-solid, hemp manufacturing company working for you? We’d like to invite you to request a free, custom quote. One thing our customers often tell us is how easy it is to work with us. That’s the way it ought to be. We’ve safely navigated minefeid of hemp manufacturing, and built a well-oiled machine of production, packaging and delivery that will bring a new dimension of quality to your business. Most of all, we know how important it is for you to work with someone who treasures the same, old-fashioned work ethic that makes every entrepreneur a success. And we’re ready to exceed your expectations as your new hemp manufacturing partner. Go ahead and request your custom quote right now, and put us to work for you.